Day Two: Mud is here! Different and interesting track conditions for today's racing in Luxembourg. There has been a thaw and we have a muddier top surface but crucially just underneath it's still frozen - tricky conditions yet again will make for super exciting racing today. Stay tuned. 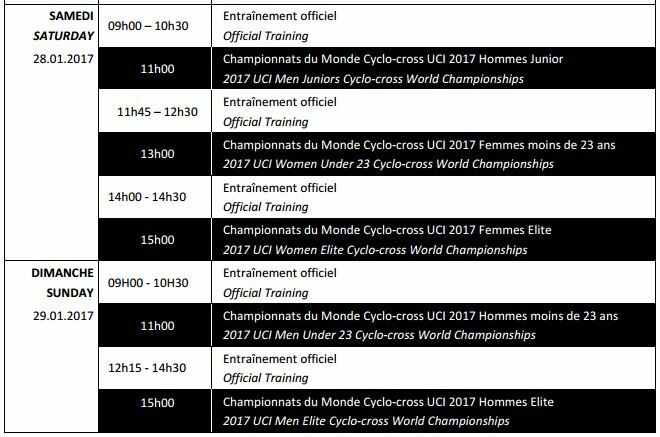 #cxworlds Amazing racing all weekend and just the final race to go now in #bieles2017 Who do you predict will win the rainbow jersey?